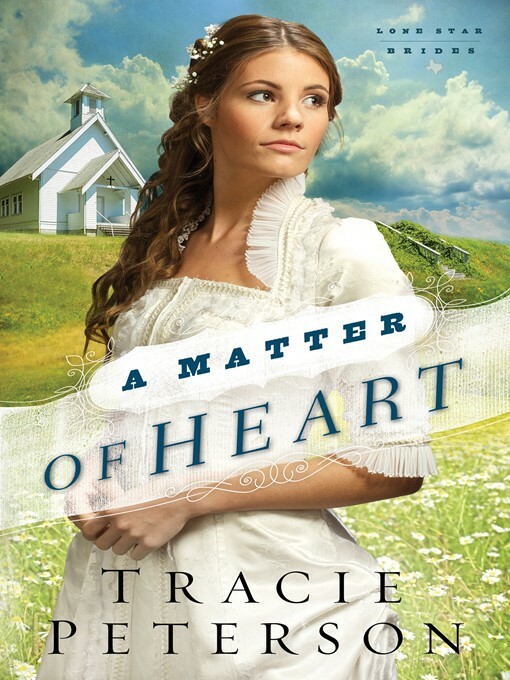 The item A matter of heart : Lone Star Brides Series, Book 3., Tracie Peterson, (electronic resource) represents a specific, individual, material embodiment of a distinct intellectual or artistic creation found in Lawrence Public Library. When two very different men enter Jessica's life, will she choose to pursue her dreams of adventure or follow the gentle urgings of her heart? A matter of heart : Lone Star Brides Series, Book 3. Lone Star Brides Series, Book 3.